On Monday, November 20th 2017, The Academy opened the third session of its Advanced Course on International Criminal Law with a special focus on International Law and Economic Crime. After the brief welcoming speeches by Professors Jean-Marc Thouvenin, Secretary-General of the Academy, and Carsten Stahn, Professor of International Criminal Law and Global Justice at Leiden University, the opening Keynote Address was delivered by Ms. Kimberley Prost (International Criminal Court, former UN Ombudsperson to the Security Council’s Al-Qaida Sanctions Committee and ICTY ad litem Judge). 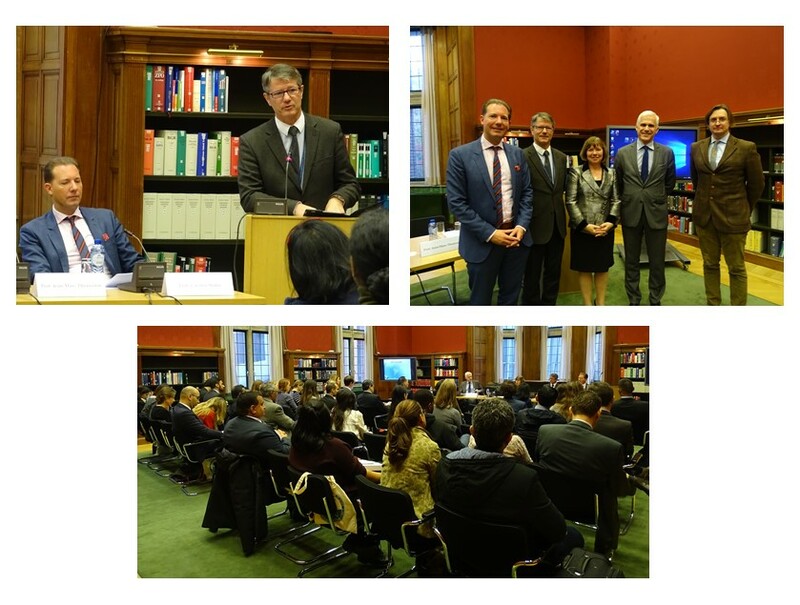 The keynote was followed by a Panel Discussion on the topic of International Law and Economic Crime: Trends and Challenges, conducted with the participation of Ms. Prost, Mr. Nicola Bonucci, Director for Legal Affairs, OECD, and Mr. David Lorello, Partner, Covington & Burling LLP, London, United Kingdom. The morning was concluded with a question-and-answer session with the participants of the programme. The rest of the week will allow the participants to acquire a good grasp of the subject, thanks to the interventions of a panel of expert professors and practitioners coming from different countries. The detailed programme of the session is available by clicking on this link.